Dr. Rolando O. Santos was raised in Puerto Rico and graduated from the University of Puerto Rico Rio Piedras Campus with a dual B.Sc. degree in environmental science and geography in 2004. He moved to South Florida in 2006 for his graduate studies, and in 2010 received a dual M.Sc. degree in marine biology and coastal management from Nova Southeastern University, and in 2014 a Ph.D. in marine biology and fisheries from the University of Miami Rosenstiel School of Marine and Atmospheric Science. In 2015, Dr. Santos joined Dr. Rehage’s Coastal Fish Ecology and Fisheries lab (FIU) as a postdoctoral research associate. Dr. Santos is a seascape ecologist with expertise in fish, fisheries, benthic, disturbance and spatial ecology. His research interests focus on the spatiotemporal dynamics of essential fish habitats, and how the functional connectivity and resilience of these habitats are influenced by anthropogenic and natural stressors. Particularly, Dr. Santos research concentrates on the forefront application of landscape ecology concepts in marine ecosystems to study the influence of spatial structure and habitat heterogeneity on the patterning of marine communities and species interactions. 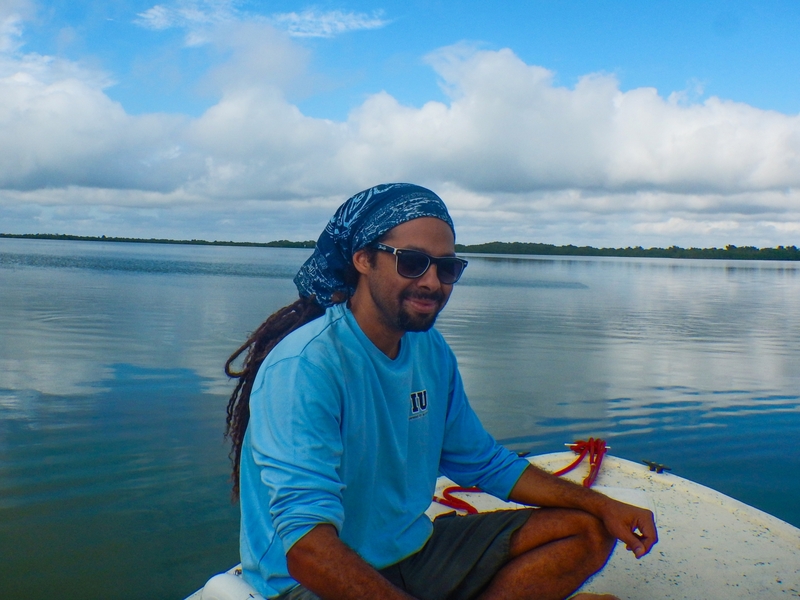 Dr. Santos research projects have studied the processes and dynamics of seagrass seascape fragmentation, and how seagrass spatial patterns influence the movement, distribution and niche dynamics of ecologically and economically fish species. Currently, his research work applies a combination of modeling and quantitative methods that integrate multiple catch and environmental datasets to identify the underlying drivers of recreational fisheries dynamics in South Florida. Overall, the outcomes of Dr. Santos research help inform how future impacts of ecosystem restoration and freshwater management activities may affect optimal seascape types and determine whether critical ecological thresholds could be exceeded and disrupt important ecosystem services.